If you are between the ages of 12-32, chances are you know what Snapchat is, and you probably have it downloaded on your phone. Even if you’re not using it regularly, then you have in the past and in the future, you almost certainly will. At last count there were around 191 million daily users of Snapchat around the world. This is a huge potential audience for your business. Not only that, but Snapchat is free to use, and by design the app encourages engagement. It’s a marketeer’s dream! This should be the first item of the agenda in every marketing department! Success on Snapchat, like Instagram and Facebook, is dependent on knowing as much as possible about your audience. That’s how you create content that garners engagement. 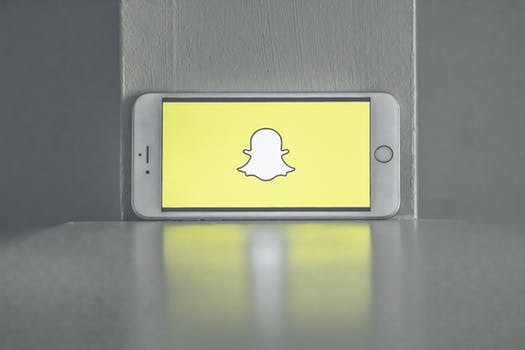 Snapchat’s key demographic has traditionally been both Millennials and Generation Z. Therefore, if you’re trying to sell Life Insurance you’re probably focusing on the wrong market. However, if you have a fun, new product aimed at 10-35 year olds, Snapchat could be the way forward. Why not consider using creating a ‘Buyers Persona’ for your target market? To get the swing of things, get a personal account first. Use the app like any consumer would do, follow your friends and similar brands to understand how they successfully use the app. Unlike Facebook and Instagram, there’s no chronological timeline in Snapchat. Direct messages to your followers stay in their inbox until they are opened. This ensures users pay more attention to Snaps rather than a passing tweet, whether they receive them from their friends or your brand. 3. Decide what to publish. Once you’ve created your brands account on Snapchat. It is vitally important that you have a idea of what you are going to post. Have you created a social media plan for your brand that can be used? Have you already got a library of recyclable content? Make sure that your brands voice is front and center in each of your Snaps. Create content in your own style. There is no such thing as a boring topic, just boring content creators. You should know your product better than most and work in the industry 40+ hours a week. If you aren’t able to make the topic interesting, who can? Snapchat videos last just a few seconds, their simplicity is what makes them so attractive. There is no need to spend big on expensive productions teams and video equipment, if nothing else it will come across as insincere to your followers. Instead, use a simple iPhone and create light-hearted videos that are organic and feel natural!